Growing up, when Mom would pull out the iron skillet, we all knew there was a treat in the making! She had two sizes of skillets, a small one for the cornbread and the large one for everything else. When she put the large skillet on the cabinet, we all secretly hoped she was going to make Pineapple Upside Down Cake. It was scrumptious. 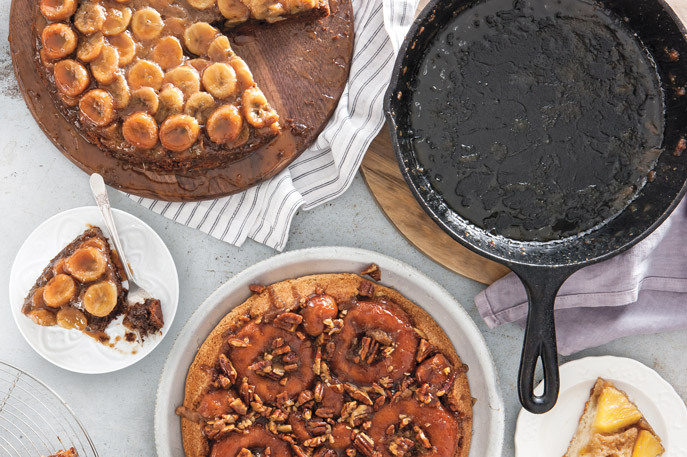 Our new cookbook Skillet Desserts is a collection of upside down cakes, seasonal crisps, cobblers, and pies all cooked in a cast-iron skillet. Oh my goodness—when the ladies in our test kitchens were preparing these dishes for photography, you wouldn’t believe the aromas drifting through our offices. One of my all-time favorites is the Orange Sweet Rolls. Those delicacies will make your heart stop. I thought nothing could top those, and then out popped the Cinnamon Rolls. My cast-iron skillet is going to have a new life this fall. There is just something about a cast-iron skillet that means something wonderful is about to happen. Order your copy of Skillet Desserts today! Cut pineapple into 1⁄4-inch-thick slices; cut slices into quarters. Arrange pineapple in an even layer in skillet. Set aside. In a medium bowl, whisk together flour, baking powder, and salt. In another bowl, combine milk, vanilla, and rum. 3 to 4 minutes, stopping to scrape sides of bowl. Add eggs, beating to combine. Add flour mixture to butter mixture in thirds, alternating with milk mixture, beating until combined after each addition. Pour batter over pineapple in skillet. Bake until a wooden pick inserted in center comes out clean, approximately 1 hour. Let cool in skillet 20 minutes. Carefully invert onto a flat serving plate. What are you favorite skillet desserts? To me, nothing says home cooking like a cast iron skillet. Visions of my grandmother and mother rustling up deliciousness dance in my head. 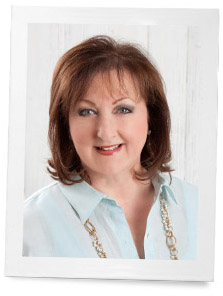 Thanks, Phyllis. Another winner! In regards to the lady with the glass top cook top- I have one and this is how I use my great-grandmother’s iron skillet. Because I REFUSE to give it up. I mean how else do you make cornbread, brown the ground beef,sear the fillets,etc-don’t get me started. You take a large piece of heavy duty foil and wrap the entire bottom & up the sides of the skillet . This way you won’t scratch the glass and also you have those years of fat that bakes on running down onto the glass (they don’t come off very easily). Just don’t move the skillet around on the burner,keep it still or you can make a few little tiny scratches. There’s the greatest product alive to clean your glass top: EARTH BRITE. It’s a clay based natural cleaner, and it will clean every single thing on your cooktop-also your stainless sink,and on & on. So enjoy your iron skillet and your glass cooktop-myself and my 2 daughters do !! Orange Sweet Rolls do sound wonderful. My grandmother used to keep an iron skillet on top of her stove and she would “bake” her biscuits on top of the stove in it. They would come out great. She lived to be 90 and if she were here today, she would be 108. I have wonderful memories of her. I made the apple pie you featured here a few weeks ago and our company said it was the best ever! I might have to check this book out. 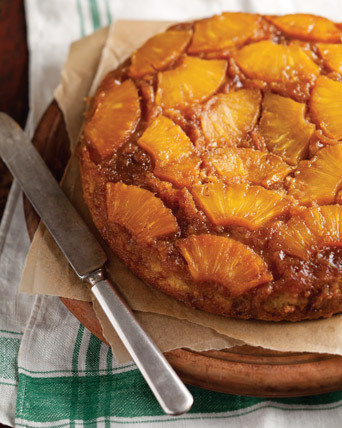 Does the skillet get put in the oven for the pineapple upside down cake? The recipe refers to baking for an hour; however, I do not see an oven temperature. I have never done skillet cooking – so not sure if it is stovetop or oven? Obviously, I am a northern girl! Where can you buy Earth Brite? I live in Texas. I have to agree pineapple upside down cake is one of our favorites and my new son in law ask me to make “that dessert with fruit all over it”. I finally realized it was pineapple upside down cake.